@IBOutlet weak var txtCell1: NSTextField! @IBOutlet weak var txtCell2: NSTextField! 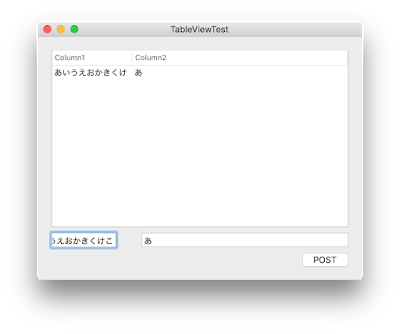 @IBOutlet weak var btnPost: NSButton! 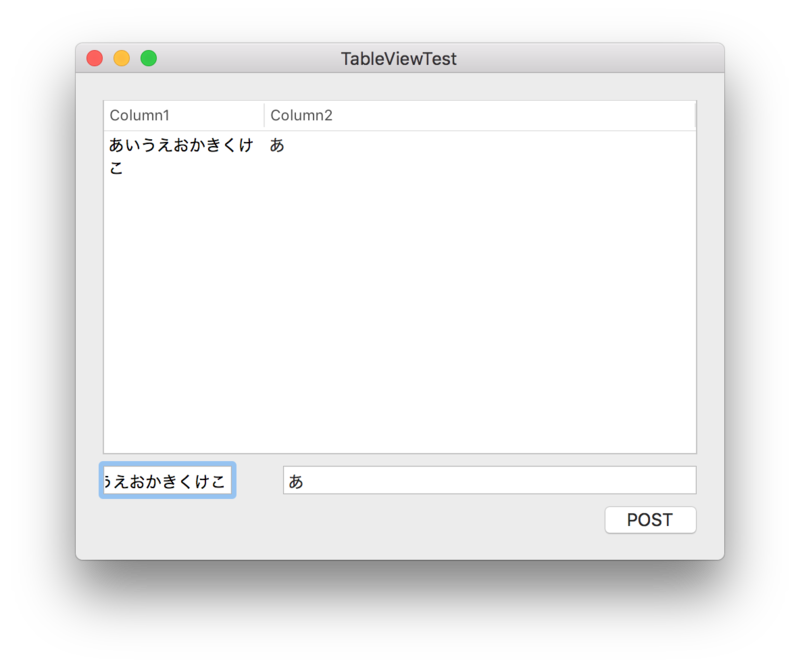 func tableView(tableView: NSTableView, viewForTableColumn tableColumn: NSTableColumn?, row: Int) -> NSView?